Cottage #1 is a large 2 bedroom that sits back from the lake approximately 150 ft. From the screened-in porch, you have a beautiful view of the lake and can watch our spectacular sunrises and sunsets. For detailed information on cottage amenities please select the main "Cottages" page. Cottage #2 is a large 3 bedroom that sits back from the lake approximately 100 ft. From the living room window, you have a beautiful view of the lake and can watch our spectacular sunrises and sunsets. Looking for your perfect cottage? About us Come and enjoy a home away from home in our 5 spotlessly clean 2 or 3 bedroom cottages. 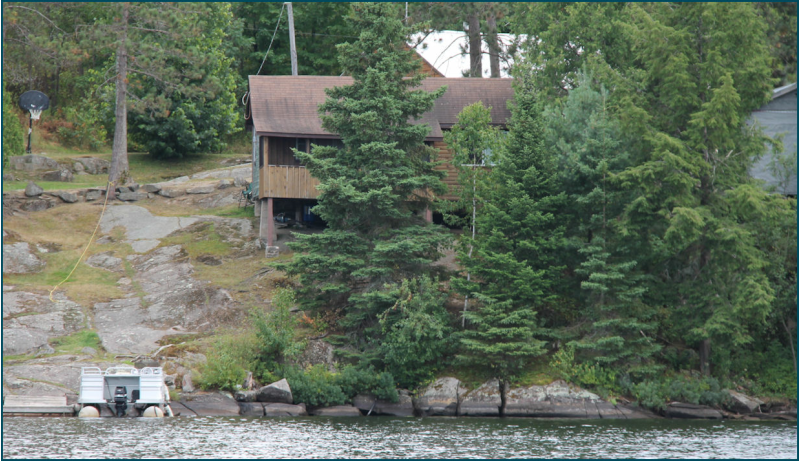 Each cottage is located on or within very close proximity to the lake, but far enough away from each other to ensure your privacy. FISHING Falcon's Lair Resort is located on Jack's Lake and has 35 miles of picturesque shoreline for your boating or fishing enjoyment. Jack's Lake contains a variety of fish - Bass, Catfish, Crappies, Pan Fish, Pickerel (Walleye), and Pike. 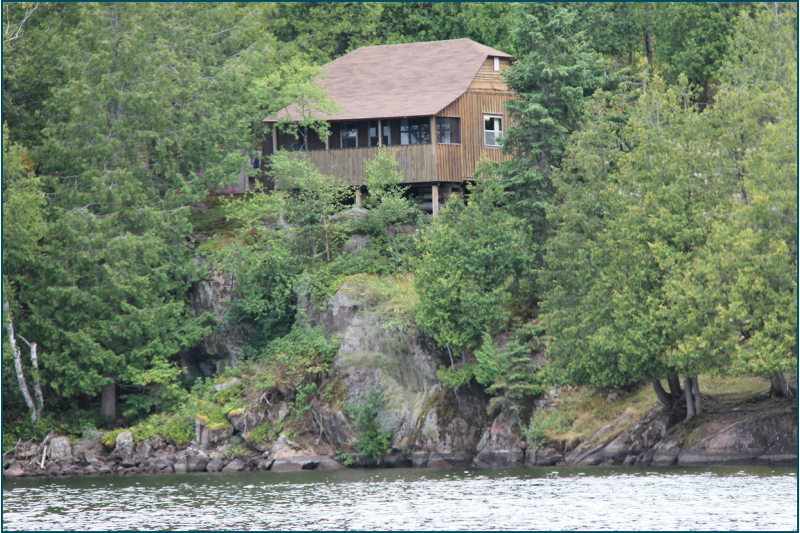 Cottage #3 is a 3 bedroom that sits high on a rock overlooking the lake. From the screened-in porch, you have a beautiful view of the lake and can watch our spectacular sunrises and sunsets. 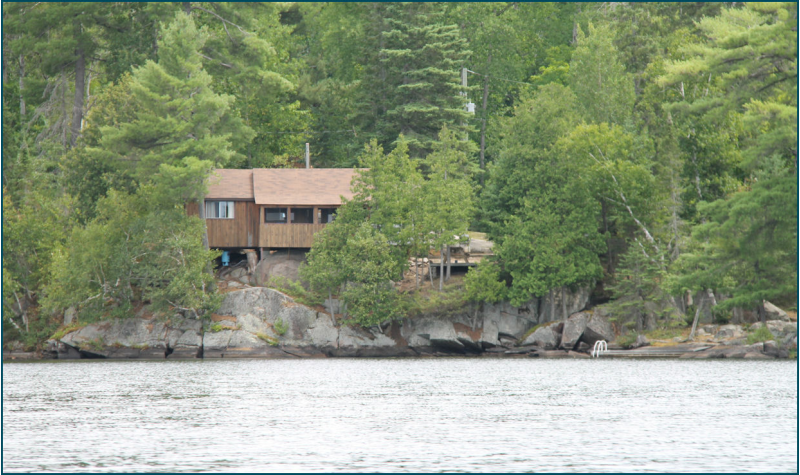 Cottage #4 is a large 2 bedroom that sits high on a rock overlooking the lake. From the screened-in porch, you have a beautiful view of the lake and can watch our spectacular sunrises and sunsets. Falcon's Lair Resort is a small family resort with 5 modern 2 and 3 bedroom cottages. A mile off the beaten path, right on the lake, you will enjoy the tranquil setting of our fully equipped, spotlessly clean cottages and grounds. With nature at your doorstep you will see and hear many birds including the haunting call of the loon, and you could see chipmunks, squirrels, rabbits, partridge, deer, and on occasion moose or bear. But only 15 minutes away, you will find all the conveniences of town (select "Area" page for more information).